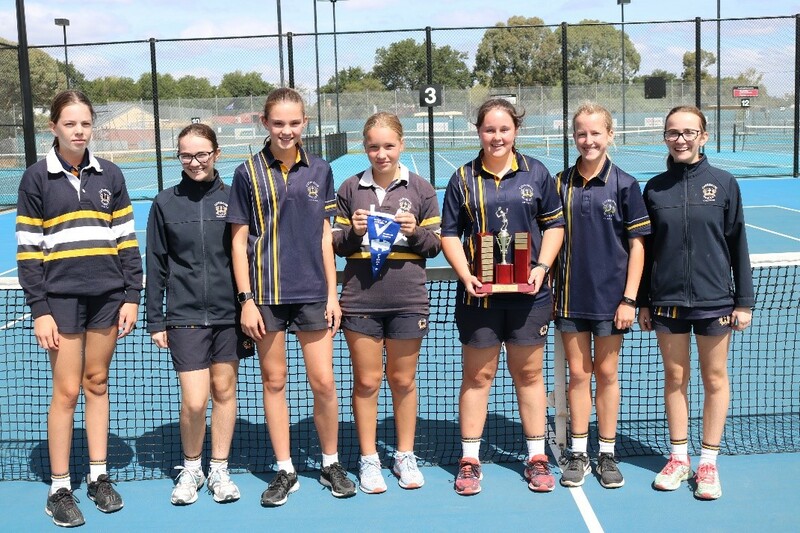 Congratulations to our Year 8 Girls Tennis Team who have won through to the Loddon Mallee region competition and been awarded the Kel Pell Cup following a great day of tennis for both our boys’ and girls’ teams. 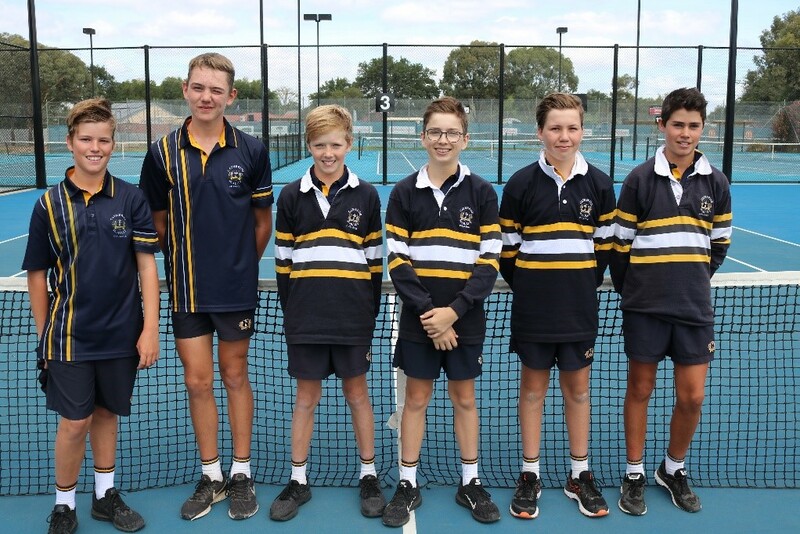 The boys also played exceptionally well, achieving runners-up in a close-fought competition on Tuesday 12 March at the Bendigo Tennis Centre. Our Year 8 Girls Team went from strength to strength throughout the day. Their results were exceptional, as they were very consistent with their play and their team work was incredible. After playing Bendigo South East College, Girton Grammar, Weeroona College, Eaglehawk Secondary College and East Loddon College and only dropping one set for the day they were announced as the overall winners and were presented with the Kel Pell Trophy. The girls should be very proud of the way they played and how they conducted themselves in every match. They will now go on to represent the Sandhurst Division at the Loddon Mallee Regional day in Mildura on 6 May. We wish the girls every success. The boys started off the day with a tough match against Castlemaine Secondary College, with all sets being tight; sadly the boys were no match for Castlemaine’s depth and after a great battle the boys eventually went down 2 sets to 1. The boys then bounced back with a brilliant win against East Loddon College, taking out that match 2 sets to 1. The rest of the day saw the boys continue to play with confidence and went on to defeat Bendigo South East College, Girton Grammar and Eaglehawk Secondary College. It was a terrific finish to the day, and when Castlemaine lost their final match of the day to Eaglehawk the boys knew that they were in with a chance of a come-from-behind overall win. At the end, the result was very tight, but the boys eventually finished as runners up, just half a set behind Castlemaine. A fabulous effort by the entire team.